CATONSVILLE – Dressed for the heat of mid-June in sensible clothing, the two dozen or so adults stood around in groups of three to five, some praying the Hail Mary, others exchanging pleasantries and sharing small conversations. Several children wove in and out of the taller bodies, erecting tiny crosses from sticks and creating chalk likenesses of the Blessed Virgin Mary on the sidewalk, their enthusiasm venting in breathless whispers and animated gestures as they suppressed their natural inclination toward noise. The scene more or less recurs every Thursday, Friday and Saturday on the sidewalk in front of a nondescript, seven-story commercial building on Baltimore National Pike, home to the Hillcrest Clinic, a facility that has performed abortions since the early 1970s. 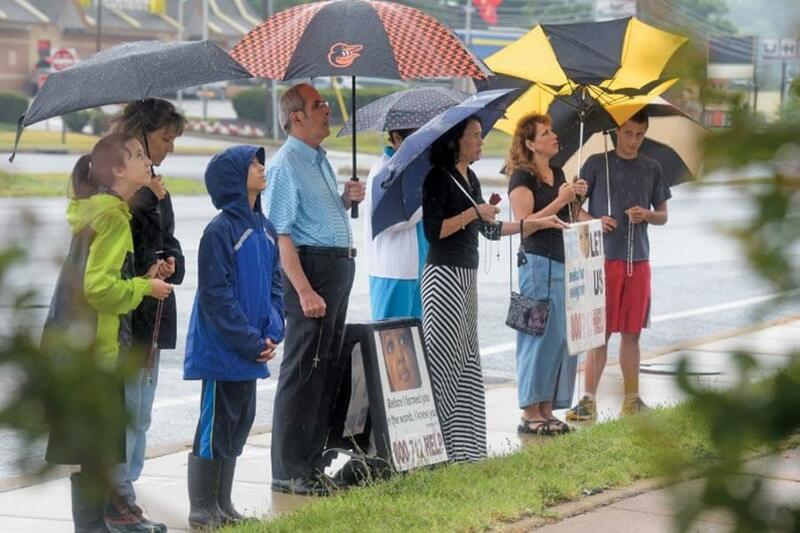 The sidewalk group, which assembles along Johnnycake Road, northeast of the building, displays no graphic images of aborted fetuses. There are no loud chants and no picketing. In the spring, the group observed two women in a car leaving the parking lot. Suddenly, the vehicle stopped – its reverse lights came on, and it backed into the lot entrance from which it had just exited. A young woman hopped out and addressed the witnesses. “Praise the Lord,” concurred the friend who had escorted her to complete what didn’t happen. Armshaw and his wife, Sabina, have been involved with the pro-life movement for four decades. “We were in this way back when you linked up (hands) in front of a clinic, and the police came and dragged you away,” Sabina remembered with a smile. Their activism is different today. Sabina recalled a day approximately five years ago. A young woman arrived at Hillcrest with her boyfriend. “I was ready to go home, but I saw them and decided I’d stay 15 more minutes,” Sabina said. The couple went in and came out. “They were standing at the car and I could see there was some kind of trouble between them,” Sabina said. The young woman walked over to where Sabina was standing and asked if she was praying for her. 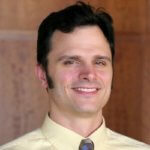 “God arranges encounters when people try to do what God wants them to do,” explained Jim Armshaw. He and Sabina maintained contact with the young woman for about five years, having her for dinner and putting a roof over her head when she was in a jam. The child was baptized at St. Agnes; the Armshaws became godparents. Not all encounters are as intensely personal as the Armshaws’, and Kim Frazer, who has been praying outside of Hillcrest since 2010, is OK with that. When not praying, Frazer, a parishioner of Church of the Resurrection in Ellicott City, is across Johnnycake Road at West Baltimore Pregnancy Choices, housed in a spare room available through the generosity of Chin Baptist Mission Church. Father Warren Tanghe, pastor of St. Paul in Ellicott City, blessed the space June 22, noting that the women who have second thoughts on a planned abortion are apparently open to truth. Baltimore Archbishop William E. Lori, a member of the U.S. bishops’ Committee on Pro-Life Activities, has been a staunch supporter of the cause throughout his ministry, providing leadership to the upper tiers as well as putting his rosary beads to use in front of local abortion clinics, such as the Planned Parenthood on Howard Street in Baltimore. According to data from the Centers for Disease Control and Prevention, abortion is on a downward trend in the U.S., falling from a high of 1,429,247 in 1990 to a low of 664,435 in 2013, the latest year for which the CDC has released data. Many, meanwhile, have not relented in their efforts against it. 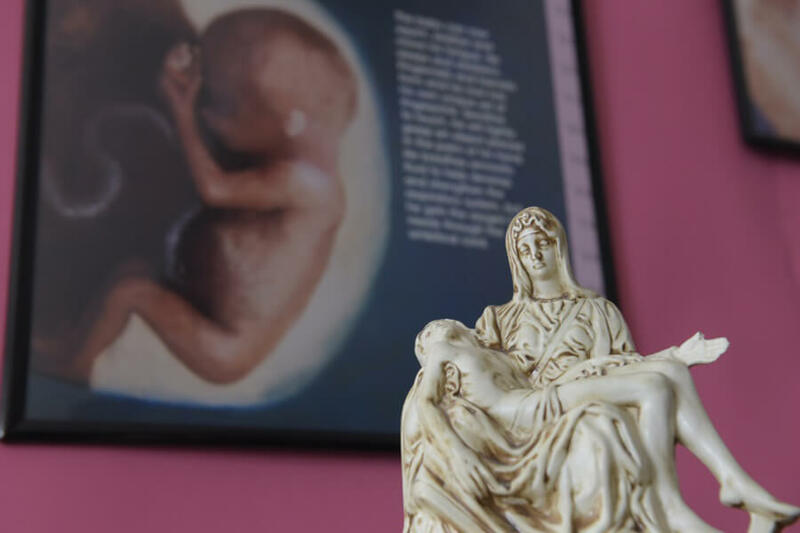 Pregnancy centers such as Frazer’s and other pro-life ministries in and around the Archdiocese of Baltimore point to a stretched heart that now envelops mothers to the same degree as their unborn children. “The pro-life movement is very naturally motivated by the violence done to the baby,” noted Stephen Wallace, executive director of the Gabriel Network. The Gabriel Network, which counts nine parishes in the archdiocese among its ranks, enlists churches in the Baltimore-Washington, D.C., metro area to provide Angel Friend Teams of volunteers who walk with women during crisis pregnancies, supporting them emotionally, spiritually and practically, according to the organization’s website. “In trying to help the baby, the pro-life community is learning more and more about the difficulties these young women are facing, and we’re saying, ‘Wow, how can we help?’ ” Wallace continued. When those women see their baby in a sonogram, and “just pause,” they “fall in love with their baby all on their own,” Vawter said. Once hope is instilled, the work begins. Crisis pregnancies aside, Wallace noted that many women simply face challenging circumstances. For some, finding housing is an obstacle. Supplementing several rent-free maternity homes in the area, including two operated by the Gabriel Network, the Armshaws are spearheading the opening of another in Howard County. In addition to shelter for expectant mothers at risk of homelessness, Mary’s Home will offer training in childcare, homemaking and job skills to those same women, after they have had their babies. While the pro-life movement continues to expand and add infrastructure, the Hillcrest witnesses understand the source as a place profound in its simplicity.